Strictly speaking this isn't from this weeks Week in photos. 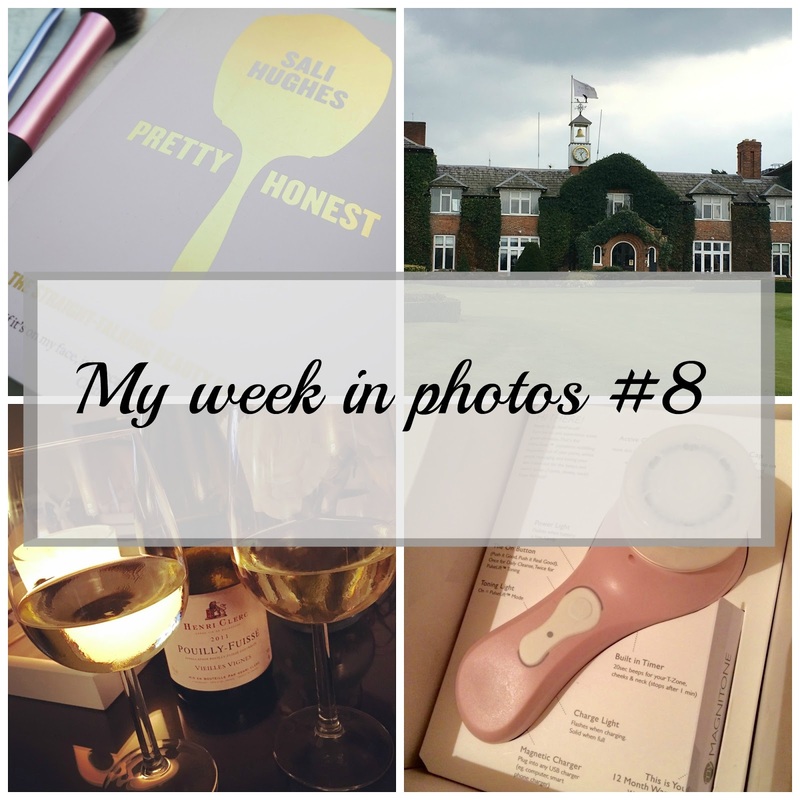 It's actually from last Sunday but after I'd published #7 so thought I'd sneak it in this weeks! A cheeky Baileys moment to finish off our weekend and yep we were drinking it whilst chilling in bed. I'd thoroughly recommend it on a Sunday night! Monday was a bit of a nothingness day, just the usual catching up, blogging, and house-wifey chores but Monday tea-time we went fridge-freezer shopping, woohoo. Ours is so on its way out, we keep loosing tonnes of fruit and veg because it just keeps freezing up, especially if anything touches the sides of the fridge, and I'm fed up of throwing good food away. Please excuse Mr C in his shorts, mad I know, as it was freezing that night, but in his defence he was going straight to the gym afterwards. 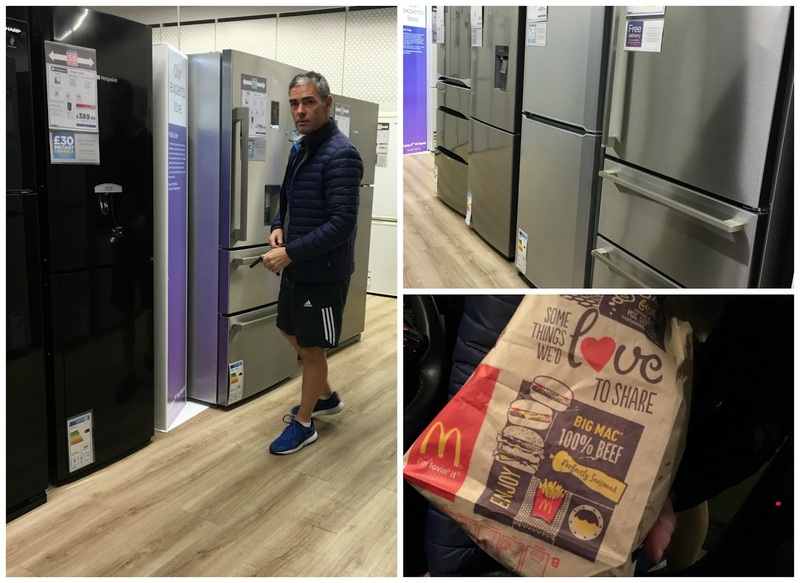 However, as it turns out we were so bloody long looking at said fridge-freezers he missed the class he was booked on, and we had nothing in for tea so off we went to Maccy's! I don't think his gym buddies read this so think his fast food secret is safe and the good news is after much deliberating we ordered our new refrigerator, to be delivered Friday! Yay. Usual day on Tuesday, spent at work :( then came home to read more of the amazing Pretty Honest by Sali Hughes. It's a great beauty book, Sali really is straight talking with a good dose of wit thrown in too. You can read my short review here and there's still time to get it for Mothers Day. Wednesday, we woke to a beautifully sunny day. Cold but sunny. Mr C had to be up for work so he brought me a cuppa around 7.30 as I did say the night before that I wanted to be up early as I'd loads to do and wanted to get this proactive thing nailed. I could easily have drank my tea and dozed off for another hour but I could see the sunshine peeping underneath the roller blind so I forced myself to get up. Hey, by 8.30 I was dressed, I'd cleaned the kitchen, put the dishwasher on and a load of washing. Go me. Don't you feel great when the sun is out, more alive, I for one can't wait for Spring to roll around. With some chores under my belt I decided to take my camera up to a reservoir local to us and have a stroll in the sun. I have to say it again, but we are so lucky to have so much to do within walking distance or a short drive from where we live. We have countryside in abundance, cafes, reservoir, the Great Central Railway, farm park and more. Being a week day it was so peaceful, just the water, me and my thoughts, and the swans and ducks. 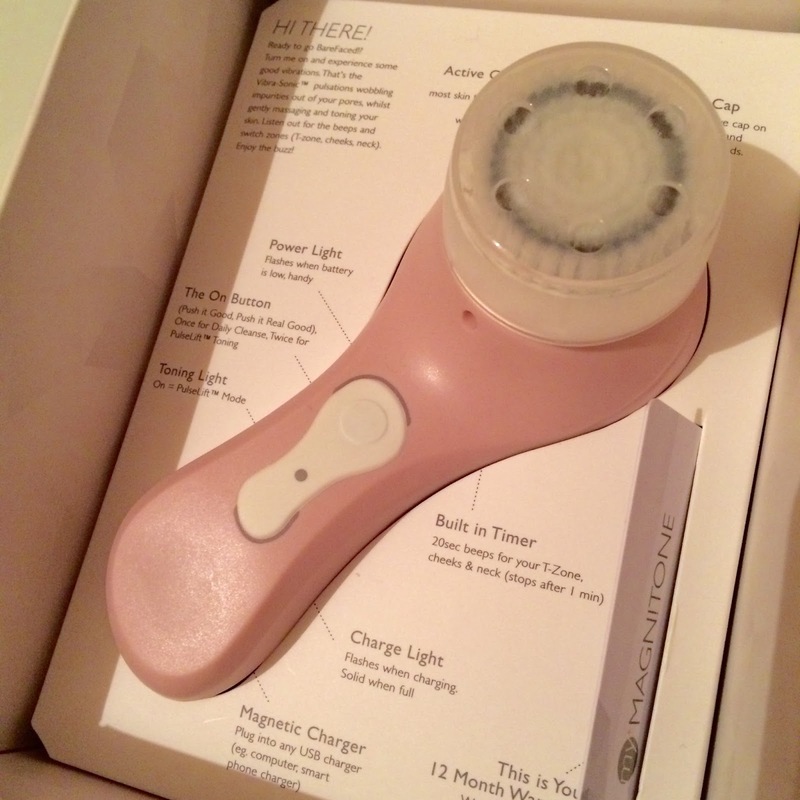 This picture below specific to any day but I've thrown it in to show you that this week I started to use my new Magnitone cleansing brush. I love it, more than anything I can already notice how much softer it's made my skin. Bit late to the party but I will do a review post on it soon. I was up early Friday for my special delivery. My beautiful new fridge-freezer. I was a little excited, sad as that may seem, but we've not had a new fridge-freezer for at least 15 years, and ours was in such a bad way, with bits all falling off it and everything, it had to go. We had a delivery window of between 11am and 3pm, I was hoping it would be early as I'd planned on popping to see mum and dad in the afternoon with Emily if I could. As it happens they rang Mr C around 9ish to say they'd be there within the hour. Result. It occurred to me whilst typing this that I've not even taken a picture of my new fridge-freezer to show you, how rubbish of me and I know you're upset about that, but you'll just have to trust me when I say it's just beaut. Very BIG, in fact I'll probably need my kitchen step stool to see what's on the top shelf, being the midget that I am! Downside of a very big fridge is that you have to fill it with even more food. As a side note if anyone wants a fridge-freezer with bits falling of it, designer cracks here and there, you'll find one currently sitting on my driveway, free to any muppet that wants it, and before you ask "why didn't you get them to take it away?" the answer is we were going to have it in our garage with the other 20 million fridges we've got stuffed to the gills with beer and wine but we thought better of it, so, it's there if you want it, with the damp it may also end up with a bit of rust to add to the charm. 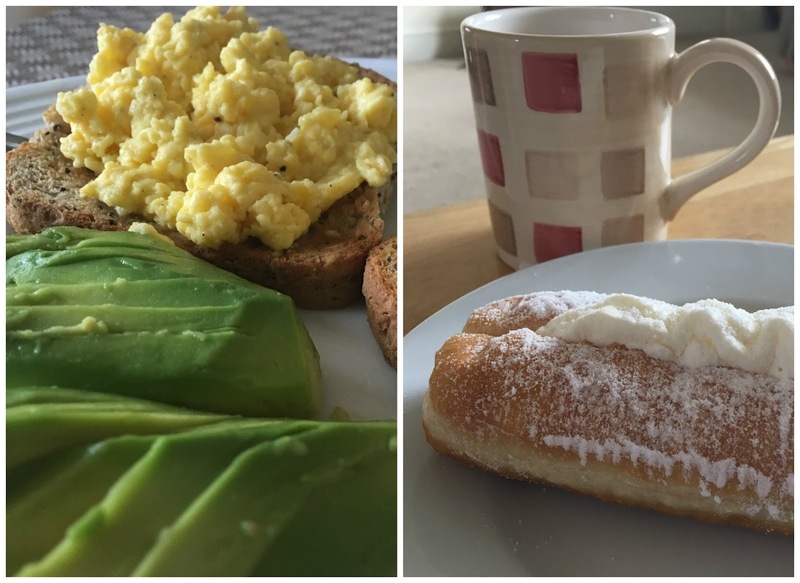 I knocked up some scrambled eggs with avocado for brunch and then in the afternoon Emily and her best friend Danna and I made our way to mum and dads for a quick cuppa. Mum forced us to have a doughnut each, she did force us didn't she Emily? Saturday rolled around so quick. 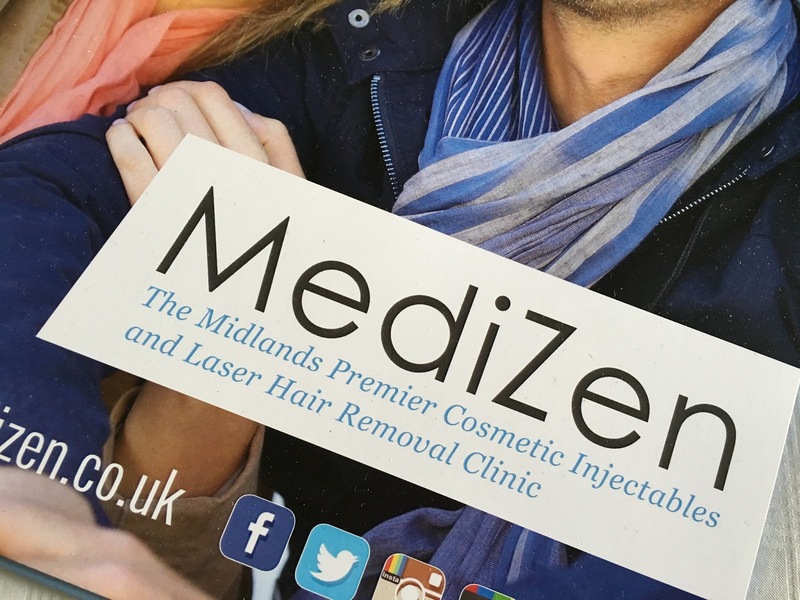 I had a consultation booked at Medizen, an award winning aesthetics clinic in Sutton Coldfield. Yes the picture does say injectables but they don't just do injectables and hair removal, they do lots of other stuff and I actually went to talk to them about a course of Dermaroller treatments which I think I'm going to go ahead with and it's something I will blog about as and I when I sign up. 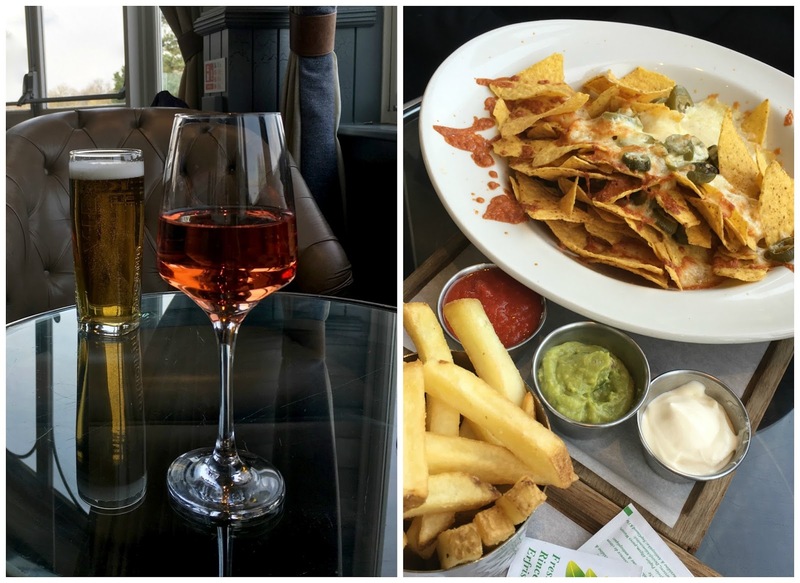 The clinic is about 45 minutes drive from us and on the way back we popped into The Belfrey for a drink and bite to eat. Mr C has played golf at The Belfrey numerous times and said I'd like it. 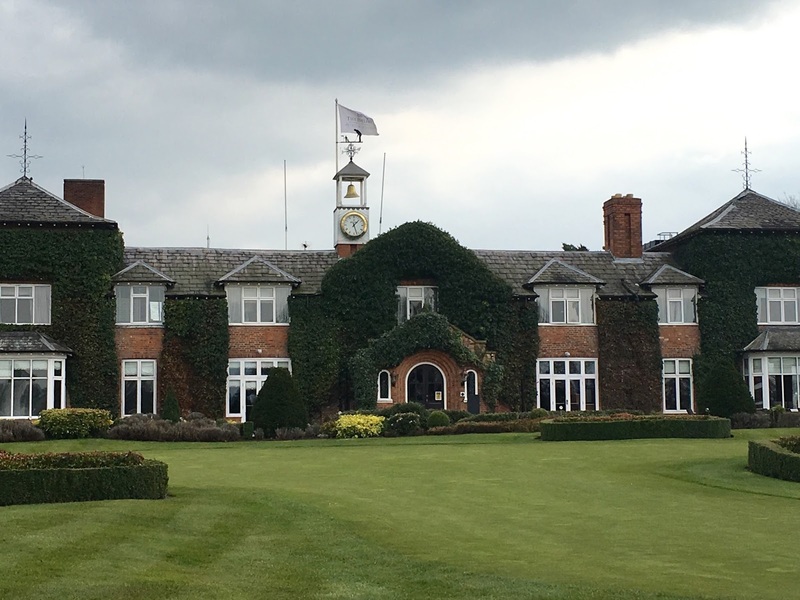 Well, he was right, such a lovely place with a really nice atmosphere, I'm talking inside the clubhouse not on the golf course obviously, I'm sure theres more of a competitive atmosphere on the course rather than a 'nice' one. My clinic appointment was quite early so even after stopping off at The Belfrey we were home mid afternoon and decided to walk to the other side of the village where they were having an open day at the canal. Just another little thing we have local to us, rivers, canals and lots of locks! 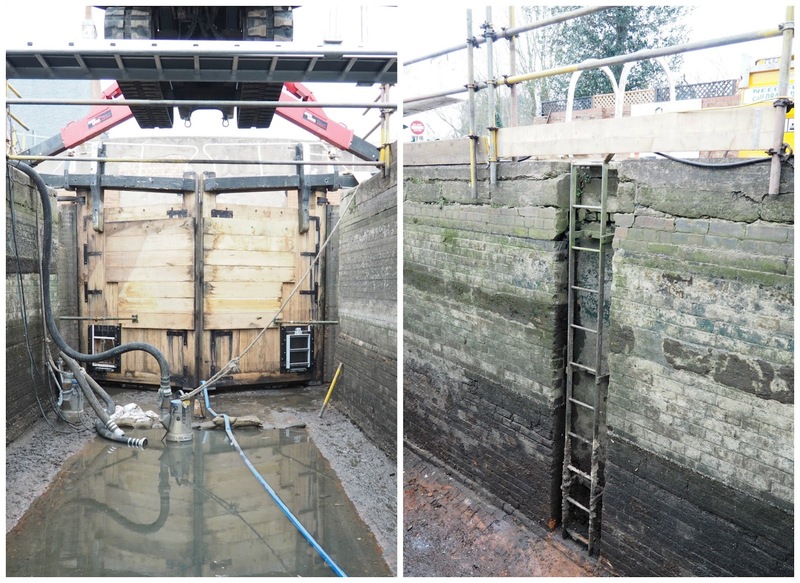 Anyway, the canal had been drained so they could replace the extremely old lock gates. They put in some steps and a walkway so the public could go down and have a nose, so thats what we did. I was expecting it to be so much deeper than it was but the expert said this lock was one of the shallower ones. Hmm....interesting if you like that kind of thing, my thoughts were "at least it's a couple more pictures for this week in photos!" But if you like waterways, locks and a dredged canal with new gates then this one's just for you. We finished off Saturday with a bottle (or two) of plonk and nibbles whilst watching Martian. I wasn't sure this movie would be my cup of tea, but I loved it. It was bliss as well as it the first Saturday night we've had in for a long time, as you'll know if you keep up with my week in photos and if you don't, why the hell not? Lazy start on Sunday and Mr C knocked up a cooked breakfast. We've not had a cooked breakfast since Christmas so I think that's perfectly acceptable. Do you know what? I just stopped in my tracks and really, really laughed out loud and what I just typed. Who am I kidding? Again, if you read these weekly posts you'll know that we've woken up in a hotel for the last two Sundays and had a cooked breakfast there!!!!!!! I really did forget that. So, we've not had a cooked breakfast at home since Christmas and I think thats perfectly acceptable! We had a quick wander to the local steam railway station in the afternoon and the rest of the time was spent pottering around home, Mr C doing some DIY bits and pieces and me preparing a roast for late afternoon/evening time. I didn't think I'd been up to much but turns out I have. Next week I'm off to the theatre. I do hope you all have a great week.